Delivery includes personal useage and maintenance guidance. Delivery condition: freely in the Tampere area, or with prior agreement at the customer’s installation location. We wished to provide high class luxury for a three residence vacation destination at Himos. We chose Canada's largest and pioneer manufacturer of hot tubs to ensure high quality that matched our vacation residences. 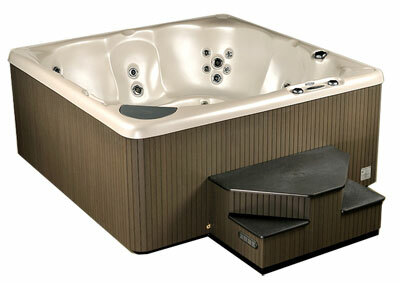 The residences being in rental use, hot tub reliability especially in winter conditions is crucial. Client comments regarding Beachcomber Hot Tubs have been appraising without exception.